Tuesday, October 9 at 6:30 p.m.
Science Writers in New York invites you to spend an evening with Randi Hutter Epstein, MD, MPH. She will discuss her latest book Aroused: The History of Hormones and How They Control Just About Everything (W.W. Norton, June 2018). Randi will talk about her book with SWINY co-chair David Levine, answer questions about content and craft, and sign books, which will be sold at a discount. A medical writer, Randi is a lecturer at Yale University, writer in residence at Yale School of Medicine, and an adjunct professor at Columbia University Graduate School of Journalism. Randi was a medical writer for the London bureau of The Associated Press and was the London bureau chief of Physician’s Weekly. Her articles have appeared in The New York Times, The Washington Post, The Daily Telegraph, The Guardian, Parents, and More, among other newspapers and magazines. She has lectured at the New York Academy of Medicine. 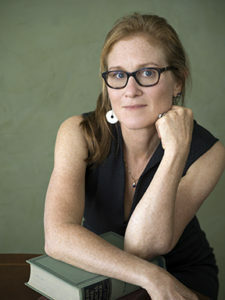 She is also the author of Get Me Out: A History of Childbirth from the Garden of Eden to the Sperm Bank (released by W.W. Norton, January 2010). Admission is complimentary. Space is limited. please RSVP by Monday, October 1.